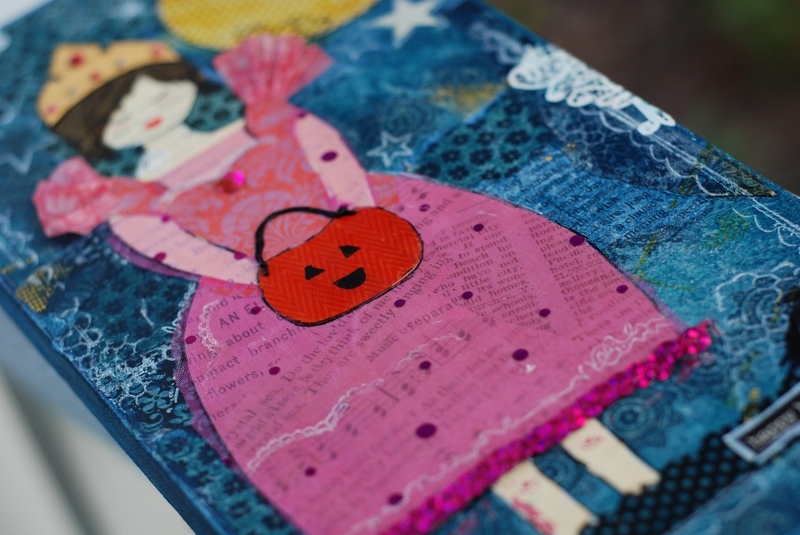 When Christy Tomlinson announced her new workshop, Pumpkins & Cider, I knew I had to join. Our first project is Halloween inspired. 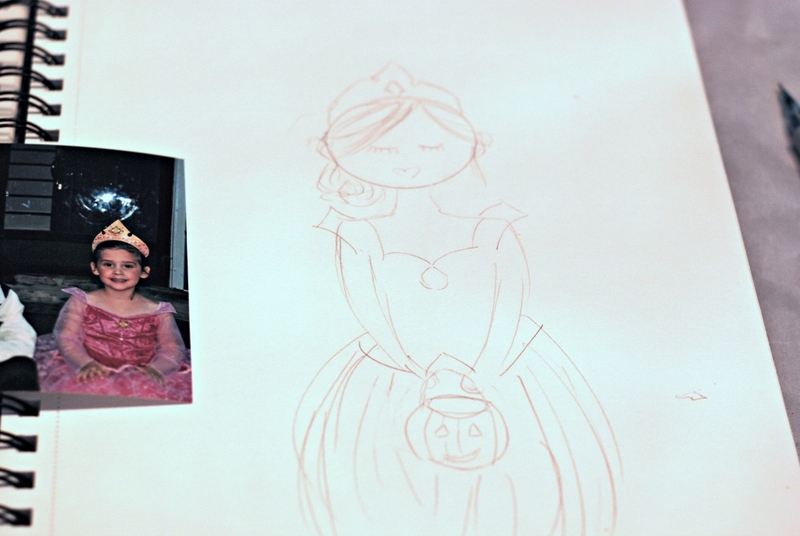 Several years ago, my daughter was a princess for Halloween. 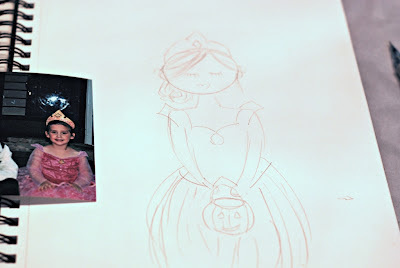 We actually bought the costume while on a trip to Disney World and I used a photo from that Halloween as my inspiration for my canvas. 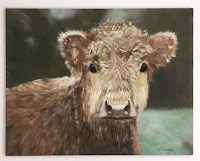 This is the photo and a quick sketch I drew to get started on the project. This workshop is overflowing with inspiration, my head is spinning with ideas! Go grab your sketch pad or your camera and capture the things you love about fall. Thanks for stopping by! LOVE IT! Wished I could take her workshops...love her! This is AMAZING! So inspirational. LOVE! It truly is amazing, Sherry! Great job!